The four station drill is a great way to help you with your shorter length putts of 3, 4, and 5 feet. This drill not only helps you work on your putting stroke, but does well to simulate pressure situations, different angles and slopes, and realistic circumstances that should help you on the course. To set up this drill, all you need is your putter, 4 golf tees, and three golf balls. Choose a hole on the putting green with a little bit of slope, the more slope you can find the more difficult this drill will become. 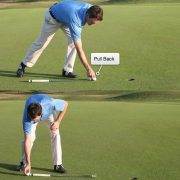 Most regular length putters are between 33 and 35 inches long, representing nearly a 3 foot putt. 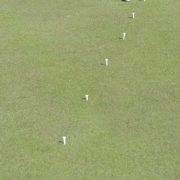 Use your putter to measure (4) 3-foot stations at north, south, east, and west around the hole, marking each of them with a golf tee. Choose one of the stations to start, and place a ball even with the tee at the 3 foot mark. 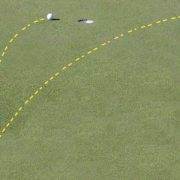 Place another ball approximately 1 foot behind this ball directly away from the hole, and another ball approximately 1 foot behind that ball. You should have three balls in a line, a 3 footer, 4 footer, and a 5 footer. The goal of this drill is to make 24 short putts consecutively. Start with the 3 footer, moving to the 4 footer, then the 5 footer of this first station. Move around to each of the other three stations exactly the same way. 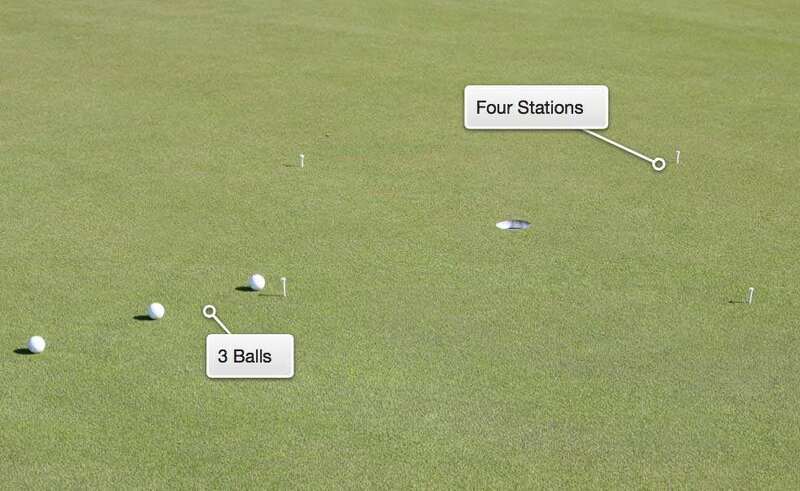 Once you’ve made all 12 putts from around the circle, now you need to make (3) 3 footers at each station, totaling 24 putts altogether. 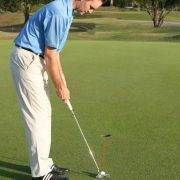 If you tell yourself that you are not going to leave the putting green until you accomplish this, then the drill does well to simulate pressure conditions. 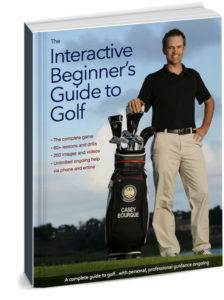 Treat each putt as you would a putt on the golf course, going through your pre-shot routine and giving yourself the best chance to make each putt.